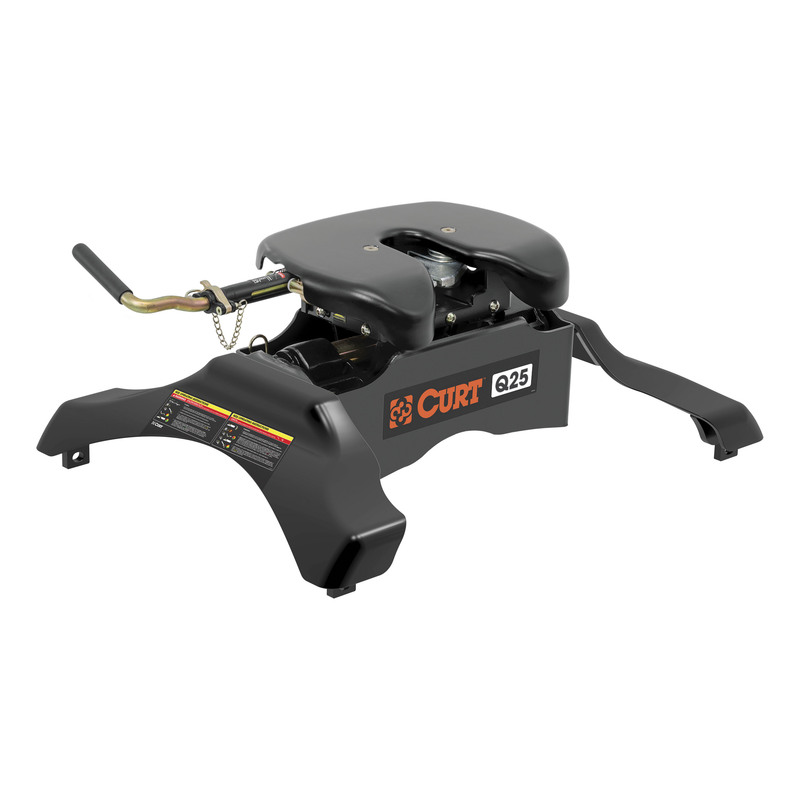 CURT Manufacturing LLC., the leading manufacturer and marketer of USA-made towing products, has achieved the perfect combination of weight capacity and quiet towing in its new Q25 5th wheel hitch. Like other members of the Q-Series, the Q25 operates on a patented spherical axial bearing, a mechanism that allows the hitch head to tilt in virtually any direction with the kingpin. This makes for some of the smoothest, quietest 5th wheel towing possible. However, the Q25 also takes this technology to the next level by offering a gross trailer weight capacity of 25,000 lbs. and a vertical load limit of 6,250 lbs., allowing it to quietly tow even the heaviest of 5th wheel trailers. The Q25 joins the existing Q20 and Q24 within the CURT Q-Series. In addition to its spherical axial bearing, it features a pair of dual jaws that lock onto the kingpin with 360 degrees of contact to reduce noise and ensure a secure connection. Three grease fittings and a polyethylene lube plate ensure the 5th wheel can be properly lubricated, extending the product’s life and further reducing noise during operation. The Q25 is rigorously tested in accordance with SAE J2638 protocols for safety. It features a durable carbide black powder coat finish and comes with a polyethylene lube plate and ten-year limited warranty. It is compatible with a variety of truck bed mounting options, including standard base rails and legs or our OEM-compatible 5th wheel leg options for Ford, GM and Ram.